An unbelievable piece!. 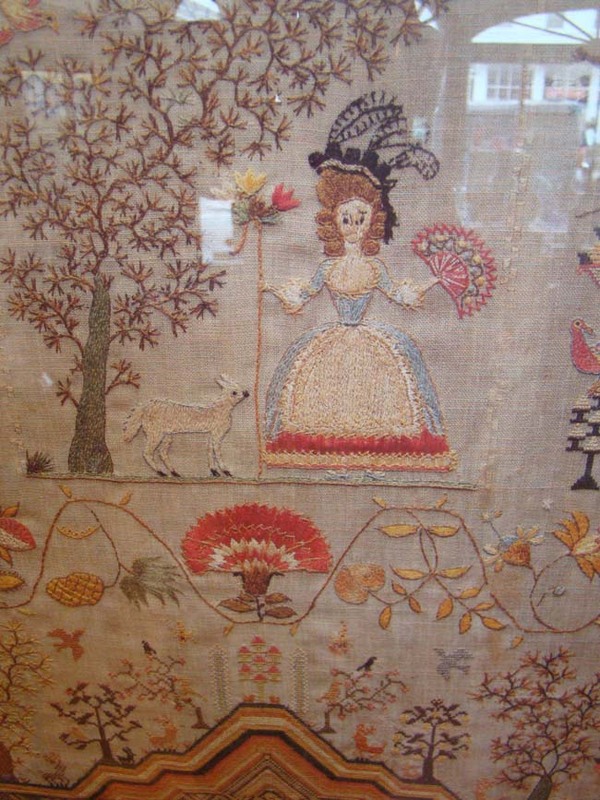 I have stared at and have examined this wonderful sampler and unless i knew the truth I would think that this was original. It is made of canvas with a textured woven appearance. 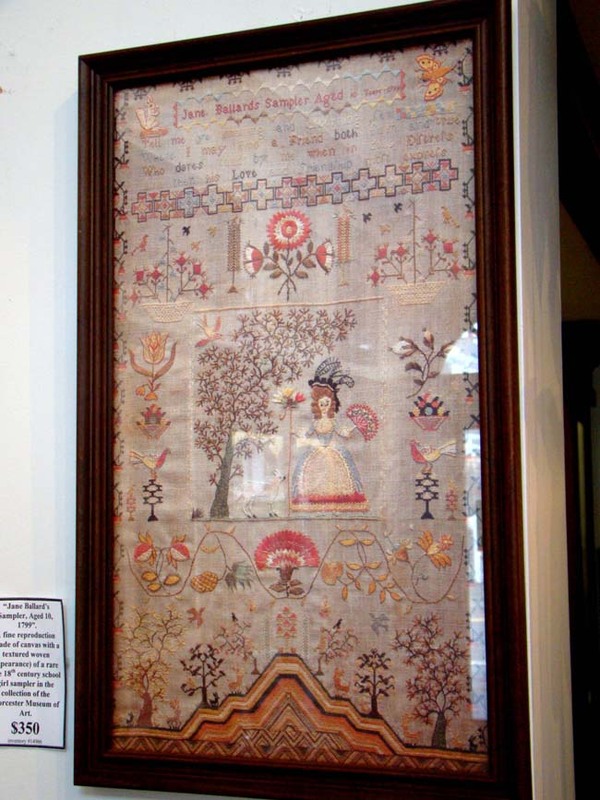 The original sampler is in the Collection of the Worcester Museum of Art.